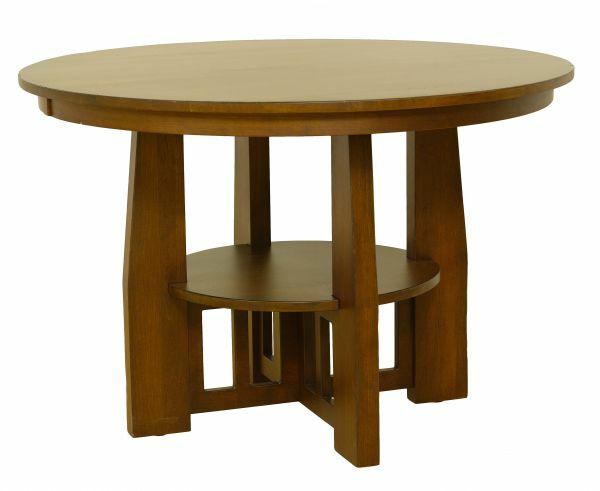 54″ Grand Mesa Table shown in Quarter Sawn White Oak with 36″ counter height base. Standard Features: Round top, 2 1/4″ wide skirting, Mission edge, double equalizer slide, 36″ counter height Grand Mesa base. Options: 30″ high base or 42″ bar height base. Available Woods: Oak, Cherry, Hickory, Maple, Quarter Sawn White Oak.